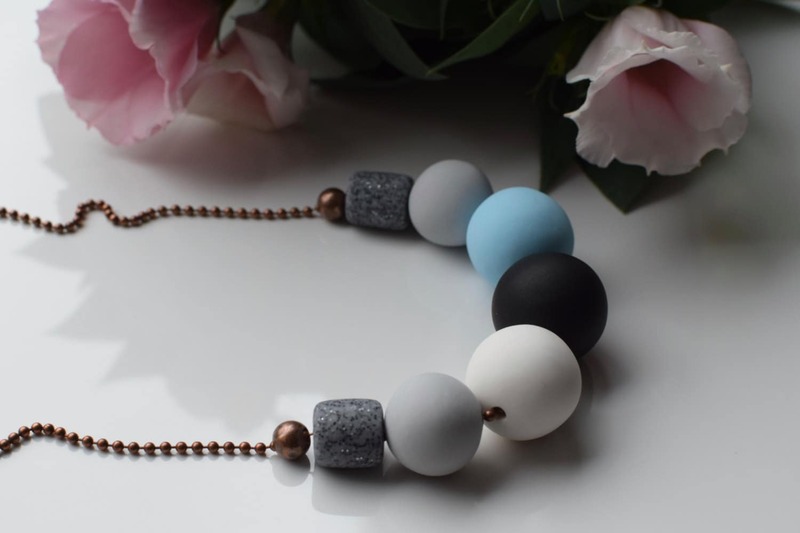 This handmade copper bead necklace is made of unbreakable polymer clay beads. 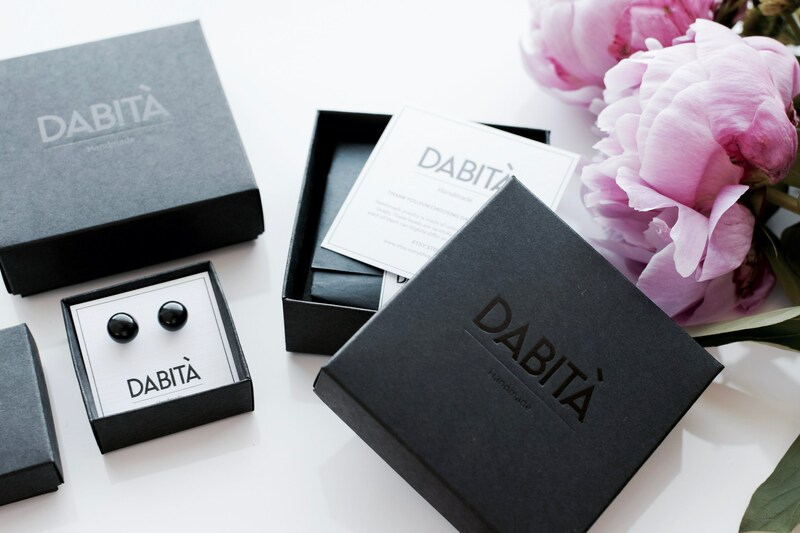 These beads are carefully made by hand, thus each of them can slightly differ in shape and smoothness. 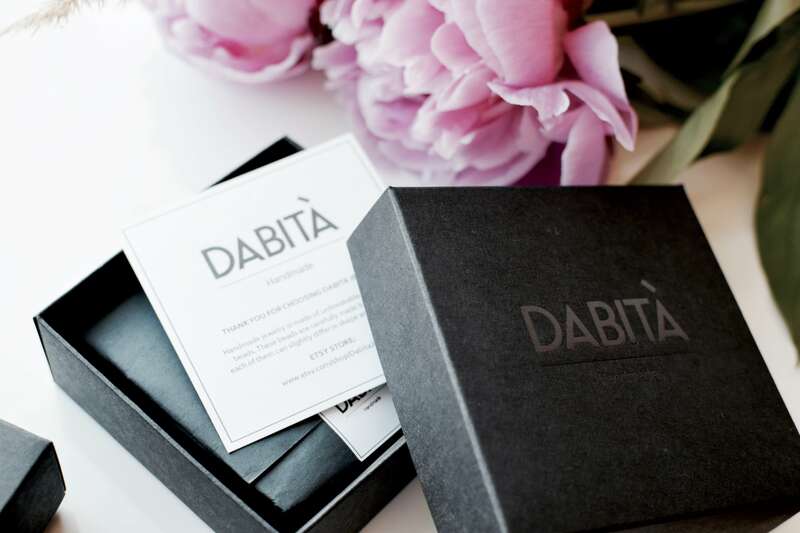 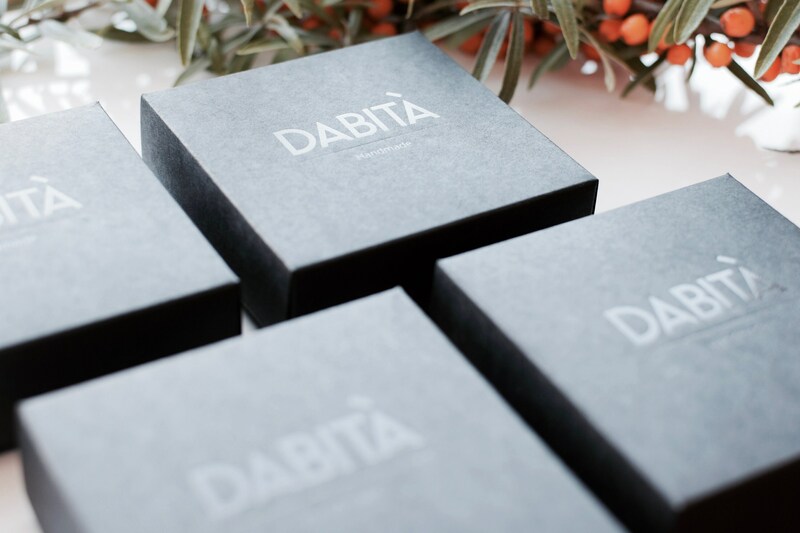 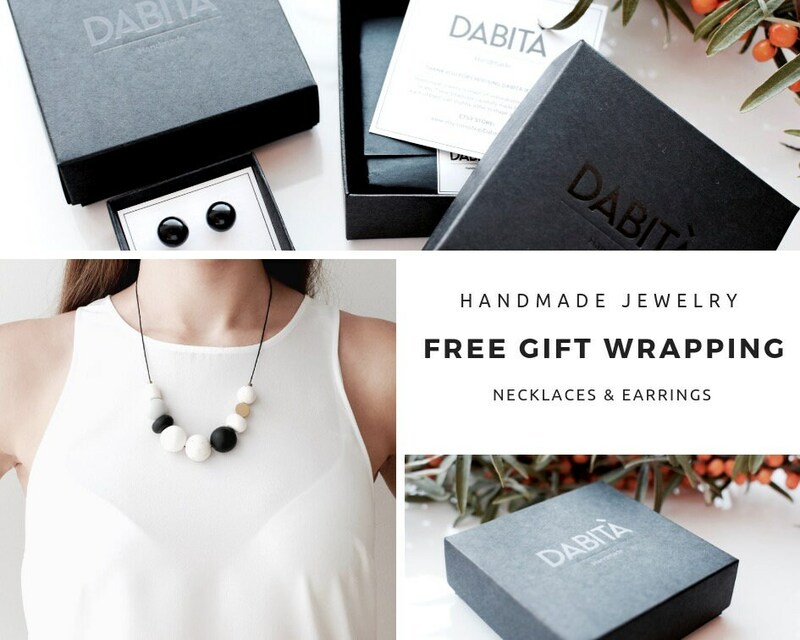 Each chain necklace comes in a stylish packaging and makes a perfect gift. 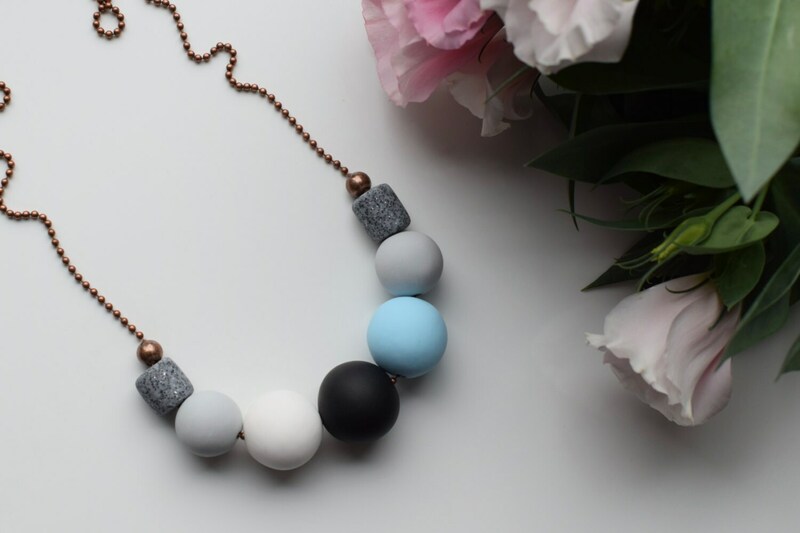 Super cute trendy necklace would be perfect for everyday wear or special occasion. 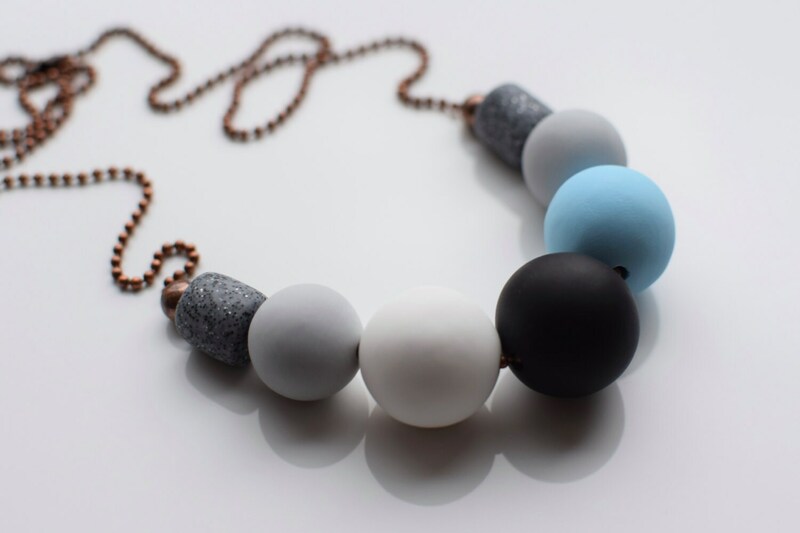 You can easily dress in your own style with this minimalist necklace. 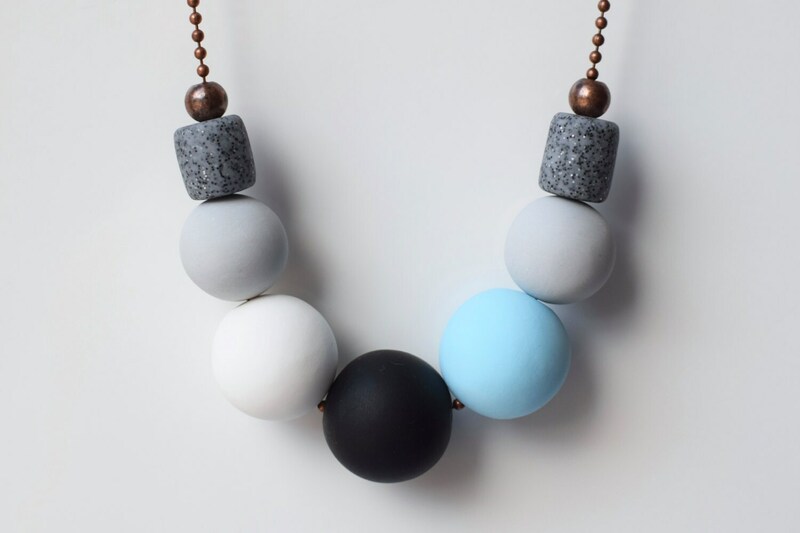 Add some minimal, clean look to your outfit with this light blue necklace.